Brasstown Valley Resort is north Georgia’s premier mountain resort and conference center offering an abundance of outdoor activities, wildlife and sporting diversions. 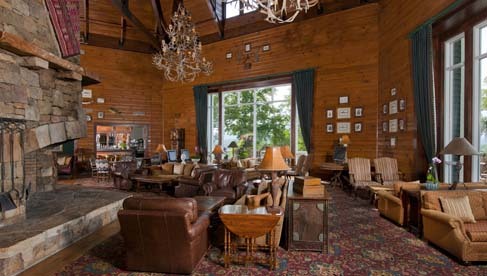 The resort is situated within a 503-acre protected forest in the Blue Ridge Mountains of north Georgia, overlooking Three Sisters Mountain to the north and Brasstown Bald – the highest point in Georgia – to the south. 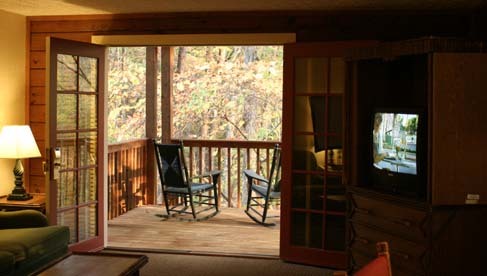 The resort borders the vast Chattahoochee National Forest. The 503-acre Georgia resort includes a pristine forest of woods and wetlands blanketed by white dogwoods, sycamores and hardwood oaks, and threaded with freshwater lakes, rivers and streams. The exterior and interior of the resort incorporate natural elements. Fieldstone accents the exterior of The Lodge, while the centerpiece of the interior lodge is a dramatic, hexagonal-shaped great room featuring a towering 72-foot stone fireplace, vaulted ceilings with massive pine beams and picture windows with panoramic views of the mountain peaks and golf links. 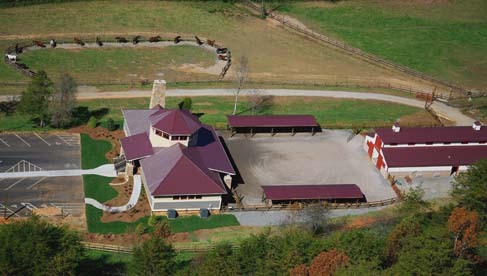 Opened in June 2006, The Stables at Brasstown Valley Resort & Spa establishes the property as the only full-service resort and conference hotel in the North Georgia Mountains to offer guests a horseback trail-riding experience. Featuring five miles of trails, the new Stables primarily offers one- and two-hour guided mountain trail rides, accommodating all experience levels, from beginner to advanced. Guests can meander through open fields, hardwood forests and crystal-clear trout streams as they travel throughout the property. Custom excursions, hayrides and catered picnic rides also are available for both individual and group outings. For guests ages six-years-old and younger, the Stables offer guided pony rides in the facility's riding ring. This welcomed on-site attraction, which is perfect for both individual leisure guests and larger organized groups, is open to both resort guests and the general public. Please contact Brasstown Valley Resort & Spa at 706-379-9900 for current rates and to reserve your ride times. Please note that while our stable facility is normally closed on Mondays & Tuesday, special rides times can be arranged in advance for reservations. Nestled within the majestic beauty of Brasstown Valley, the Equani Spa offers a true sanctuary from the stress of the urban life. Infusing the spirit of this serene environment into every first-class service, we provide body treatments, facials, soothing massages and unique rituals indigenous to the Cherokee people, designed to stimulate and refresh the mind, body and soul. Everything about the Equani Spa reflects the spirit of the land and the people who originally sought its healing properties. 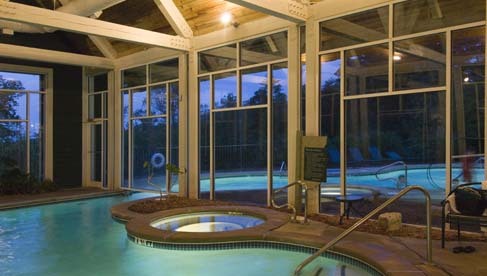 With the picturesque Brasstown Valley serving as the ideal backdrop, the Equani Spa at this Georgia resort surrounds its guests in a lodge-style motif. Enjoy natural timber furnishings, Cherokee hand-crafted decorative elements, custom millwork, fireplaces and a variety of peaceful treatment rooms. Unique spa rituals and treatments offered by our expert staff promise to leave guests feeling freed from tension and completely revitalized. Brasstown Valley resort offers a spectacular mountain golf experience with scenery as breathtaking as the play is challenging. The Brasstown Valley Golf Course has been ranked by both Golf Digest and Leading Golf Courses of America as one of the top courses to play in Georgia. Designed by Denis Griffiths, the golf course winds through wildlife preserves, ponds and streams framed in by the mountains. With five sets of tees, all skill levels will be able to enjoy a layout that is maintained to standards you'd expect. It's great for the corporate outing, couple's getaway or the guy's weekend. 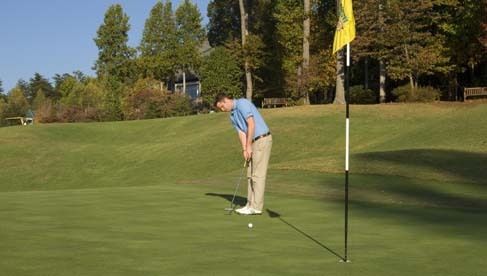 The facility also offers full practice facilities, well equipped Pro Shop and customized special tournaments. Golf lessons and clinics are also available through Director of Golf, Steve Phelps, PGA Professional. The award winning course is managed and maintained by the resort staff, so the guest's experience is the first priority. Great golf is the goal! In addition to the four lighted tennis courts, other activities range from one hour guided hikes though the 9.2 miles of wilderness trails to Brasstown Creek trout fishing and exceptional bird-watching. 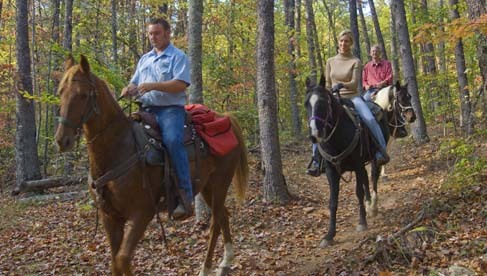 Exclusive trips and excursions canalso be arranged to Brasstown Bald, Georgia's highest mountain, Antique Shopping Sprees, Crane Creek Vineyards, Mountain Biking, and Whitewater Rafting can be arranged for your group. Seasonal children’s programs are also available as Brasstown Valley Resort & Spa prides itself on being able to provide fun and relaxing activities for everyone. Surrounded by nature and spoiled by all the comforts of home, you'll find Brasstown Valley Resort & Spa more than accommodating. With 102 lodge guest rooms, 32 cottage guest rooms, and a deluxe spa suite, Brasstown Valley Resort & Spa provides guests with luxurious bedding, furniture, carpeting, wall and window coverings, and updated bathrooms in a variety of lodging options. The minute you step into our lodge you'll be enveloped in the soft glow of our massive stone fireplace and oak-vaulted ceilings. Gaze out through any perfectly placed window for a panoramic view of exquisite golf links and glorious mountain vistas. 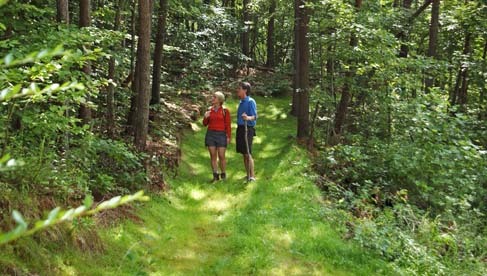 Set back in the woods, enjoy the seclusion of our cozy cottages. Ideal for families, executive strategic planning retreats, or individuals seeking additional privacy, our cottages are a great place to escape it all. Or pamper yourself at The Equani Spa's own private accommodation suite. 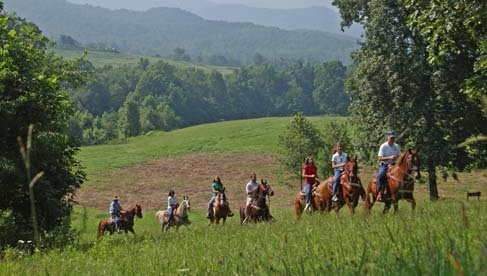 A relaxing 825 square-foot retreat, the suite provides fantastic views of North Georgia's Blue Ridge Mountains, the golf course and the horse pastures. 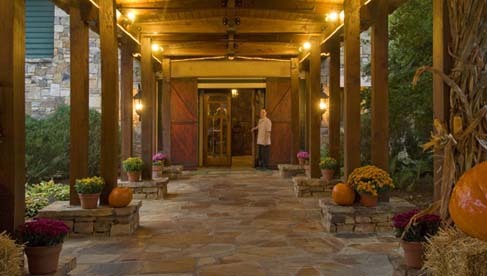 Brasstown Valley Resort & Spa is regionally renowned for its fine meals, lavish buffets, and friendly service. There culinary and service teams continue a tradition of excellence in two distinctive dining settings and two outdoor pavilions. The resort's Dining Room is known far and wide for its picturesque mountain views, which complement its outstanding meals and service. It's equally famous for its Friday Evening Seafood Buffets and Sunday brunches offered at affordable prices in a comfortable restaurant. Chef Sid Kurrimbukus prepares a variety of seasonal dishes representative of the area. Choose to dine near a cozy fireplace or out on the mountain-view veranda. 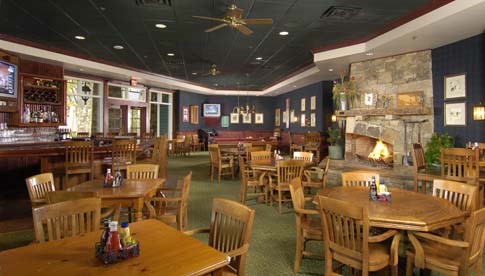 For more casual dining visit the 19th hole, Brassies Grill for a relaxing lunch, quick afternoon snack or cozy fireside dinner. While there, play a friendly game of pool or darts or catch the game, race, or spectacular replays of the day on the big-screen TV. The Fireside Lounge and veranda is the perfect location for cocktails and conversations next to a crackling fire or under the stars. Many Brasstown Valley stories begin and end here, so it's the ideal backdrop for friendly gatherings. 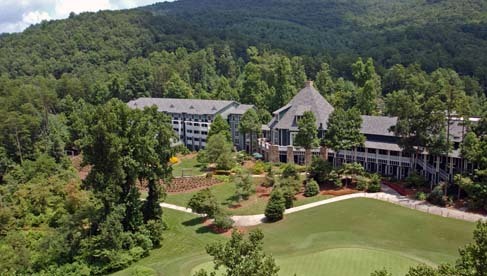 Brasstown Valley Resort is a southern pivot point – two hours from Atlanta,Ga., Chattanooga, Tenn., Asheville, N.C. and Greenville, S.C.
Average rates from $99 to $209. Rides from $35 per hour.